Evans | W. A. Bragg & Co. This branch, located in the booming area of Evans, is typically a hot-bed of daily activity. Our constantly updated ‘Interactive’ showroom – the only one of its kind in the CSRA – is open 7:30 – 5:00 Monday through Friday with appointments available for more convenient customer service. 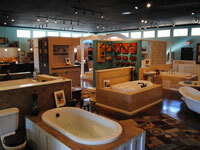 We specialize in helping you create the bath or kitchen you want at a price you can afford. 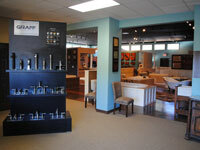 Our showroom consultants are extremely skilled at locating those hard-to-find, yet, perfect items. We carry outstanding lines such as UltraBath, Delta and Brizo faucets, Sigma, American Standard, Link-A-Sink, Oliveri Stainless Steel Sinks, Moenstone sinks, Spurlin and Mansfield products. Irrigation is a strong focus at this branch, as well as plumbing and showroom operations and we are very capably staffed in all these areas. Our Appliance division is centered here, where you are able to experience many of our fine appliance products under working conditions. Our employees go the extra mile to make your visit pleasant and successful with expert information and helpful attitudes. They are the greatest staff of counter people in the CSRA.